Keep your valuables packed in a container that's sure to keep them safe - Master Chief style! 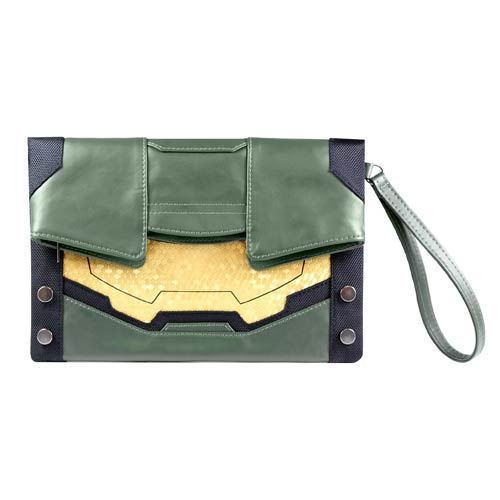 This Halo Master Chief Clutch Bag looks just like the popular character's iconic Spartan helmet. It features both folding and zipper closure, and it even comes with a HALO 5 REQ Pack downloadable content code! Ages 13 and up.